Genomic assays are increasingly used in oncology to guide clinical management and assess tumor responsiveness to novel therapeutics. However, the number of cancer genes with clinical relevance continuously expands, necessitating broader mutational profiling of tumors. 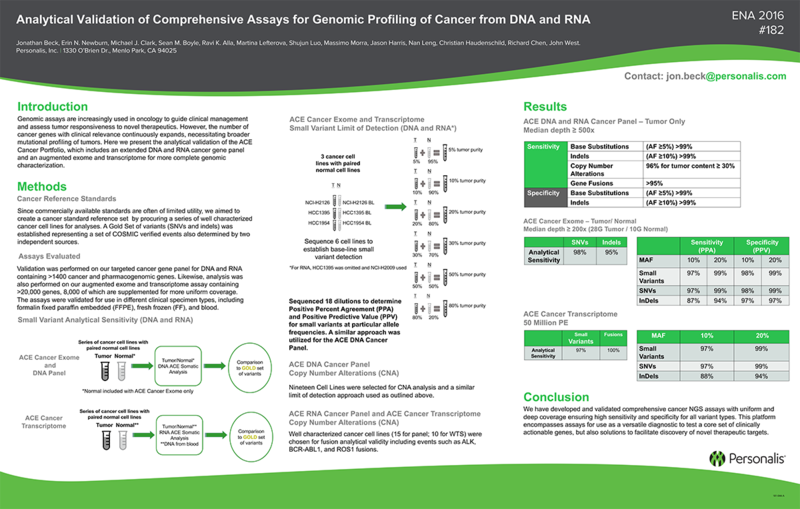 Here we present the analytical validation of the ACE Cancer Portfolio, which includes an extended DNA and RNA cancer gene panel and an augmented exome and transcriptome for more complete genomic characterization.